It’s no secret that we Vancouverites enjoy the more laid-back fashion styles. 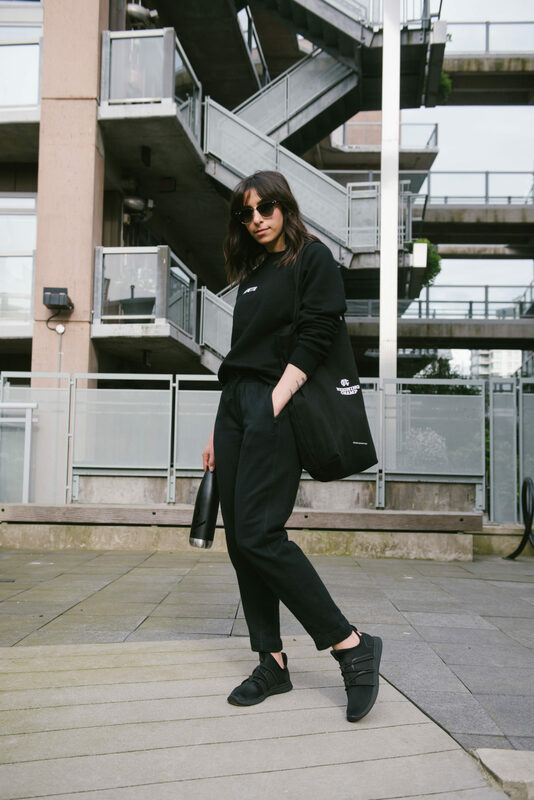 We are home to brands like LuluLemon, Kit & Ace & many others that are paving the way for the “athleisure” style. In the past, denim was my form of casual wear, that is until I met Alex. Let’s just say that Alex knows how to indulge in the casual parts of life and he does it well! This month I finally caved and requested a pair of sweat pants for my birthday. I haven’t owned a pair since I was in high school and they were mandatory for gym class. To be honest, I don’t even think these count as sweat pants as they’re a bit too nice but we’ll call it even! 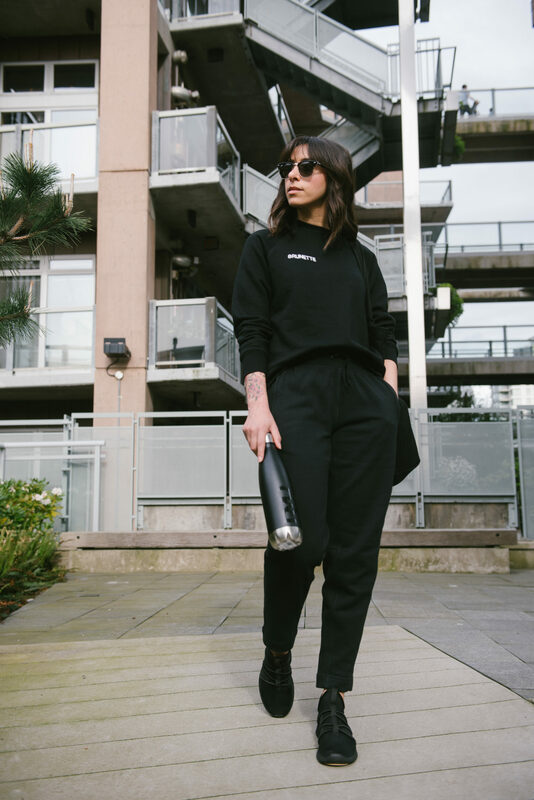 Since I’m embracing the more relaxed lifestyle these days I’m sharing my favourite athleisure brands that you can find in Vancouver. 1. SKYE Footwear – This is a brand that I have been recently introduced to. SKYE Footwear is made of mostly Biodegradable materials! How COOL is that?? Not only are they comfy but I’m helping save the planet. Get 15% off your order with code randasalloumSKYE. 2. BRUNETTE The Label – Not only is this brand super fun but I’m impressed at the growth that owner Miriam Alden has created in such a short amount of time. The Brunette & Blonde shirts are favourites for fashion bloggers & style lovers alike. I’ve been wearing mine almost non-stop during casual days. 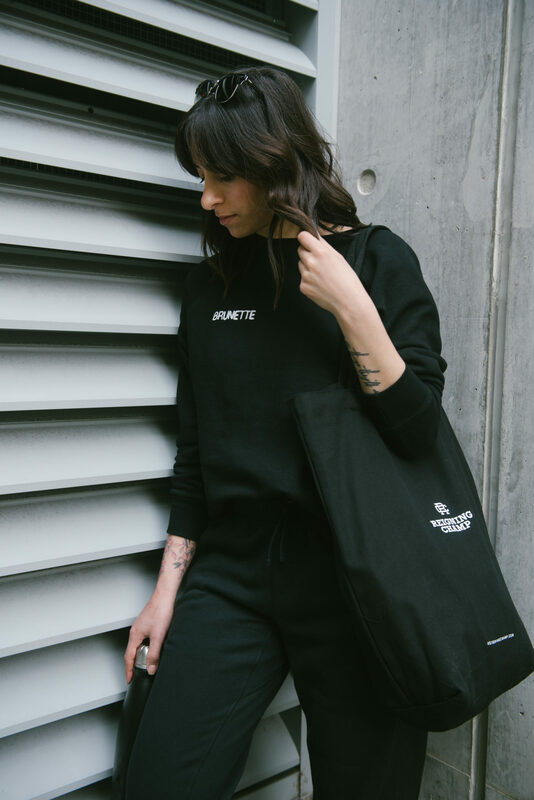 BRUNETTE the Label is a clothing line based in Vancouver, BC Canada originally thought up as a marketing tool for our sister brand, Brunette Showroom. 3. Reigning Champ – This is a brand that I may be the most excited about! It’s been a longtime favourite of my own and introduced it to Alex about a year ago. We’ve both become somewhat obsessed and I was ecstatic about the news of their upcoming full women’s line. For now, I was able to snag a pair of the Adidas collab pants for my birthday (thanks, Alex!). Reigning Champ designs and manufactures Canadian-made essentials & athletic wear based in Vancouver. 4. RYU Apparel – Although, technically not “athleisure”, they do have some pieces that are extremely comfy for non-fitness wear. 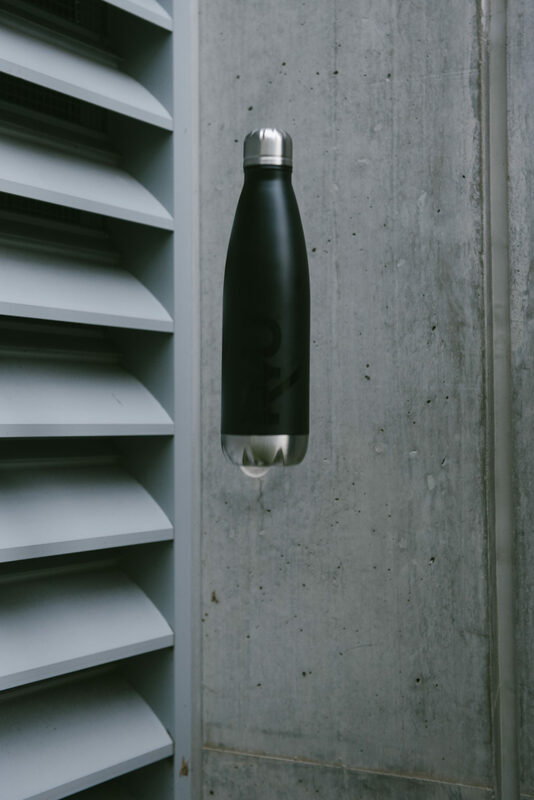 My water bottle in today’s post is from them! RYU or ‘Respect Your Universe’, is an athletic tech-style apparel brand engineered for the fitness, training and performance of the multi-discipline athlete. Ahhh I haven’t heard of any of these brands except for RYU, but it sounds like you’ve got great taste girl! 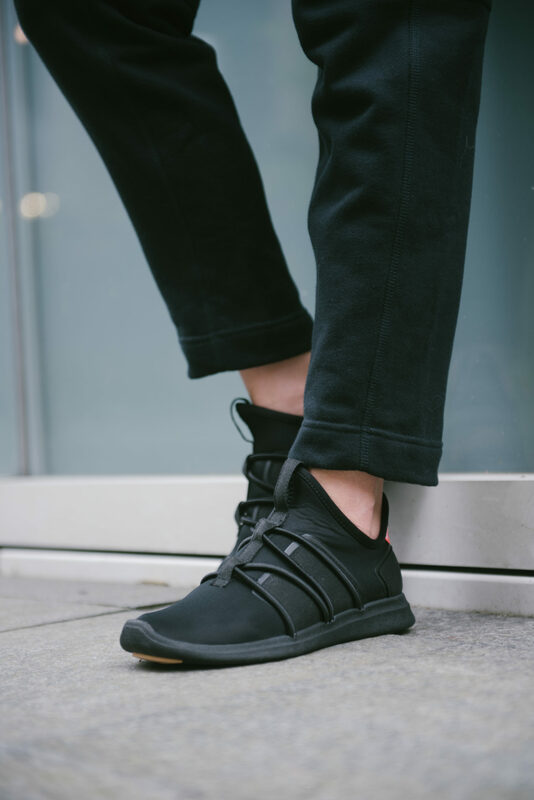 I really love my APL sneakers, but I may just have to give the SKYE shoes a go!